Did you know that according to World Health Organization less than 60% of adult men and women in the US meet the required level of magnesium in their body? This deficiency in magnesium can be linked to migraines, gastrointestinal issues, inflammation, and other heart and bone diseases. Consuming magnesium-rich food such as dairy products and grain may help, but one of the best ways to get more magnesium is through magnesium oil. Here are the top magnesium oil benefits. Magnesium oil helps improve skin texture. There have been many studies conducted on magnesium oil uses, and among them includes oil control and relief from stress-related skin irritations such as rosacea, psoriasis, and acne. Magnesium oil can also be used as a deodorant. In fact, one of the best magnesium oil sprays that I can recommend is ArtNaturals Natural Deodorant, a fast-absorbing spray that also offers relief for migraine and muscle pain. For more recommendations on magnesium oil sprays, check out the Best 4 Magnesium Oil Products. Magnesium oil helps boost sports performance. Magnesium oil is commonly used by athletes to provide pain relief from muscle soreness and inflammation. According to a new study in The Journal of Physiology, magnesium calms the pain-inducing chemical NDMA. 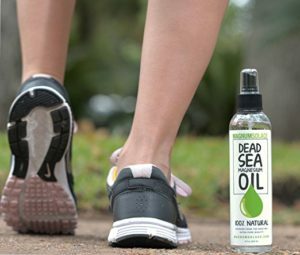 Many people have already discovered the benefits of magnesium oil in relieving cramps, restless legs, tendonitis, back pain, and other muscle soreness. Magnesium oil helps improve sleep. Spraying magnesium oil on your body at night helps you sleep better. This is because magnesium relaxes the GABA receptors in your brain and nervous system making you able to fall asleep faster. Magnesium oil contributes to heart and bone health. Magnesium is important for the absorption of calcium and the prevention of osteoporosis. It also helps reduce plaque buildup and promote healthy gums, according to Dr. Mark Sircus. This mineral, along with potassium, is also key to regulating the cardiac rhythm and reducing hypertension. A 2012 study in Europe showed that magnesium supplements helped lower blood pressure of patients with hypertension. Magnesium oil reduces migraine and stress. A migraine and high-stress levels are symptoms of magnesium deficiency. A natural relaxant, magnesium quiets down the excitability of the nerves in the brain, muscles, and heart. Those who regularly intake coffee, wine, and alcohol when stressed may also want to up their magnesium oil use. There are already magnesium oil sprays that you can spray directly to the affected area for relief. You can also massage magnesium oil in your body to relieve cramps and soreness. 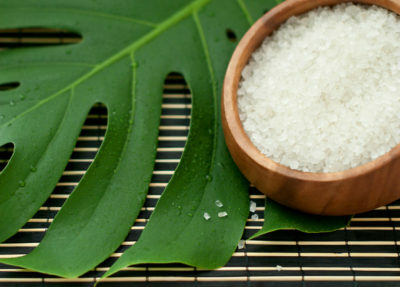 Try adding a bit of coconut oil or essential oil for the ultimate pampering experience. If magnesium oil stings when added directly, you can also use it in the bath or as foot soaks. Check our top magnesium oil spray brands to get the most of magnesium oil benefits.